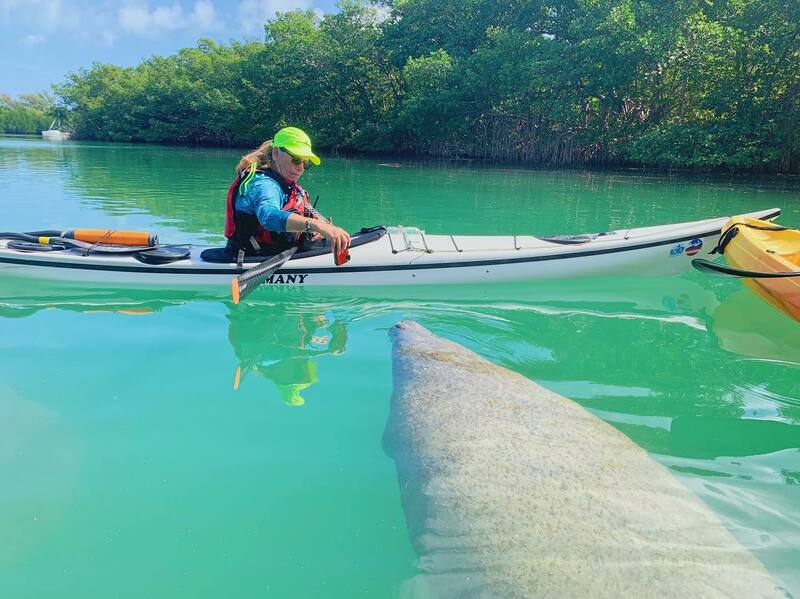 It’s Manatee Season! 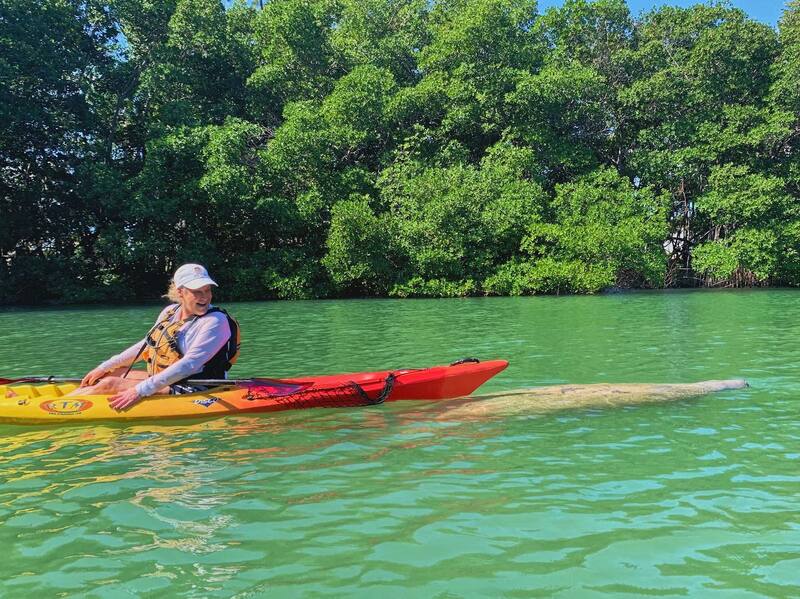 Ready your cameras and paddles, it’s the best time of the year for wild manatee viewing! Multiple Manatee families have made a home out of Jimbo’s Lagoon and absolutely love to pose for the cameras. Come join us in the early mornings or late winter afternoons for an exclusive Manatee Photo Safari with an occasional dolphin or two! Please keep in mind that these wild and protected animals. It is illegal to molest, harass, disturb, and even to hug a manatee. We will be viewing these beautiful, yet funny looking animals from afar. Avoid excessive noise and splashing if a manatee appears nearby. 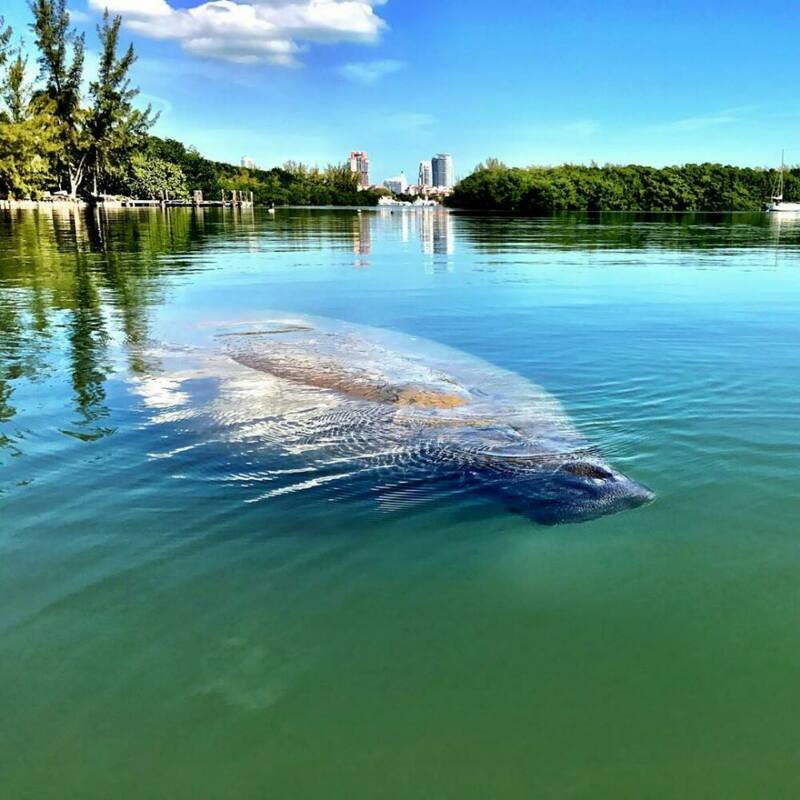 The manatee may be resting and may surface without being aware of your presence. Noise and activity may startle the animal awake, which may put it in harm’s way if it is frightened and leaves the area. Look, but do not touch the manatees. Especially do not feed the manatees. Keep hands and objects (Paddles, and other materials) to yourself. 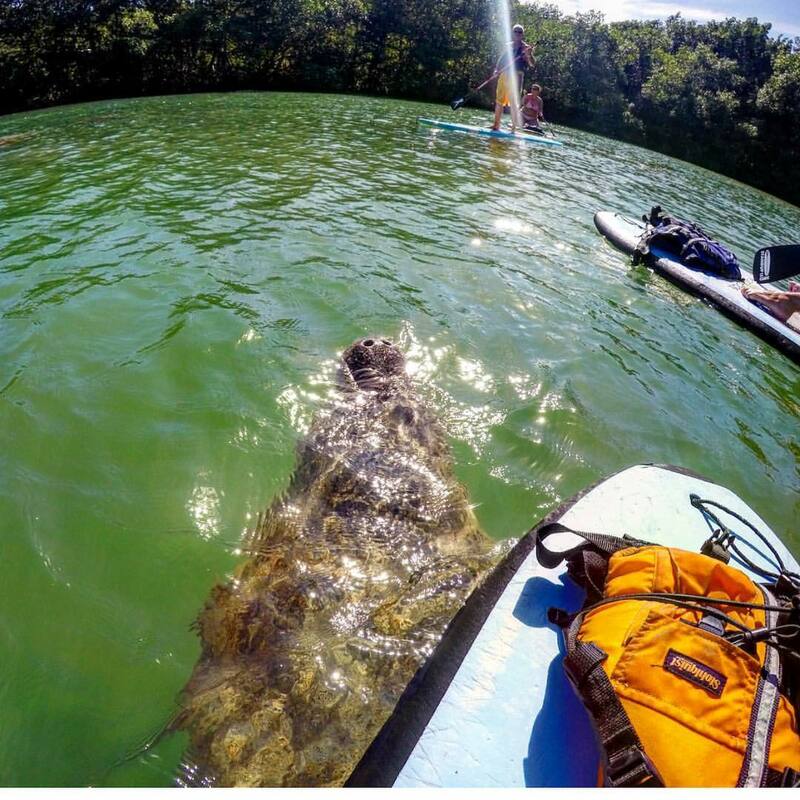 Do not attempt to snag, hook, hold, grab, or ride a manatee. Do not Pursue or chase a manatee. They usually come around to check out paddlers. Pursuing them only causes them to swim away and ruins the fun for everyone, especially the manatee. 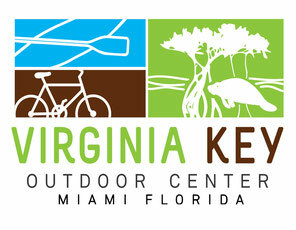 Please arrive between 1 hour to 30 minutes at Virginia Key Outdoor Center before the Launch Time. This will allow for a speedy check in process and have us on the water in no time. Parking is FREE in the VKOC Parking lot. 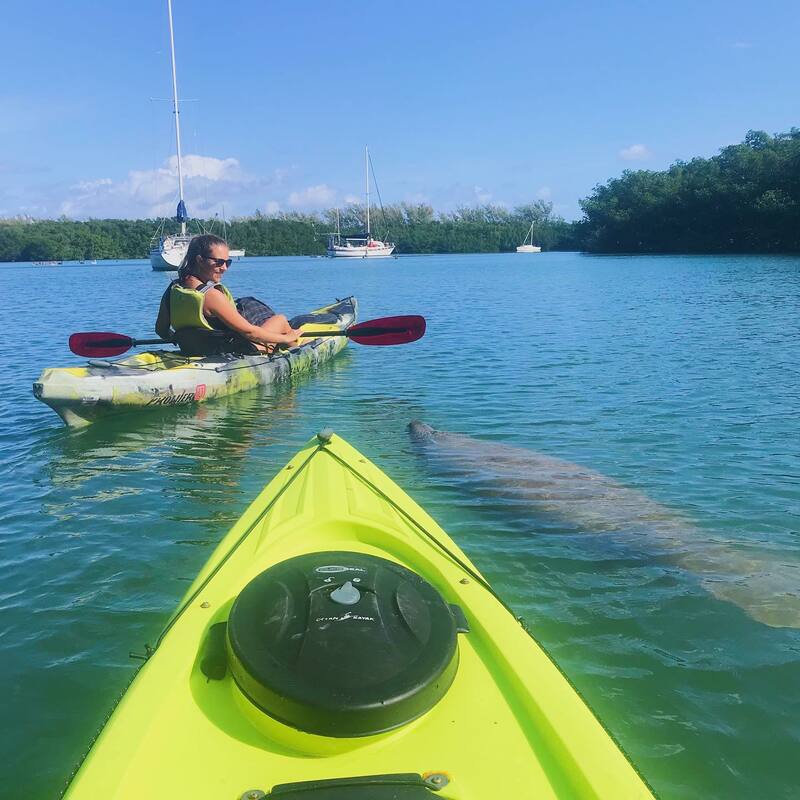 We will kayak around Jimbo’s Lagoon in search for Manatees, we may venture out to the Virginia Key Cove where multiple manatee and dolphin sightings have been documented! 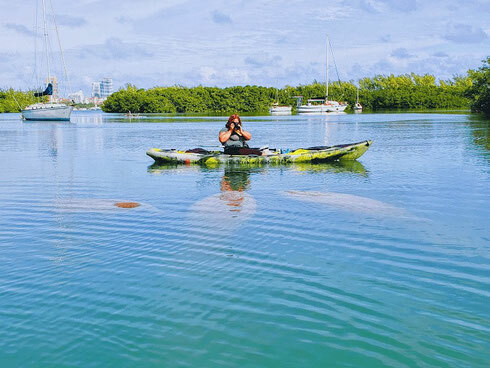 Please keep in mind that Virginia Key is filled with wildlife, you may see even more than just Manatees. If time and weather permits it, we may beach at North Point where you are able to see an array of different bird species and the gorgeous Miami Skyline. Your Cellphone! We strongly suggest bringing a water proof case. If one is not available to you, there are cases for sale in the VKOC retail room starting at just $15.00! For those that are bringing your boards, please remember to bring a life jacket. You will not be allowed to join us if you do not have one. VKOC offers Life Jacket rentals if you do not have one. Towel and change of clothes for after! Forgot your towel at home? No worries, we sell them too!